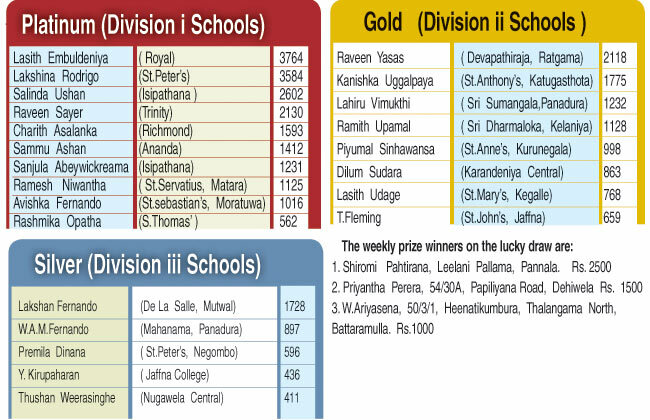 There was a significant change at the top as Sri Lanka schools representative Salinda Ushan of Isipathana College came from behind and polled in 2602 votes to secure the third place only behind Royal's Lasith Embuldeniya (3764) and Peterite Lakshina Rodrigo (3584) in the Sunday Observer/ Mobitel Most popular Schoolboy Cricketer Of The year 2016 competition at the end of the 5th week counting. 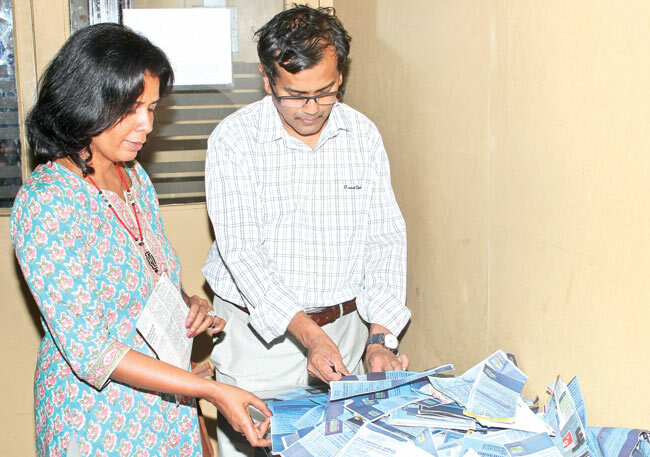 Salinda Ushan was one of the new entrants to the contest with Rashmika Opatha of S.Thomas' Mount lavinia who had 562 votes against his name. Ushan was a member of Sri Lanka Under 19 team of the recently concluded Under 19 World Cup and a prolific scorer during the school cricket season. Opatha too, was among the runs and his best innings was the century that he scored in this years Royal-Thomian encounter.